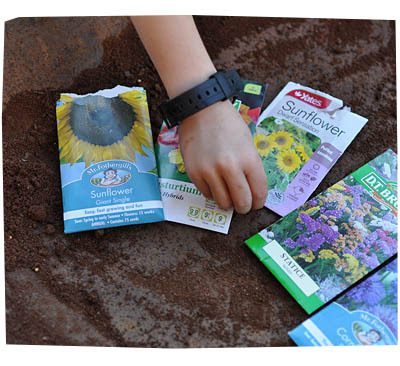 Are my kids too old to plant flowers? Ah… with school, homework, sports, and so many after-school activities, it feels like my husband and I are doing less and less hands-on projects with our kids these days. I used to do so much with my two older kids! And I feel that my youngest boy has missed out on so much. Maybe they are growing up. Maybe in my head, I’ve moved on. So maybe I’m trying to teach them to have more independence. Maybe they are growing up in a world where they prefer a much more sophisticated level of engagement? Ugh,whatever it is, I feel that it’s now a lot trickier to engage my kids in these hands-on projects. I mean, my kids play a video game where they plant a garden (with sunflowers, pea shooters, rolling walnuts, cherry bombs) that defends their home from waves of skateboard riding zombies. How do we compete with that?!? But they are still kids! My husband enlisted our 6 year old to make a flower garden. He was quite reluctant to start. My son, that is. They took a trip to the shops and bought a bag of soil, seeds and fertiliser. 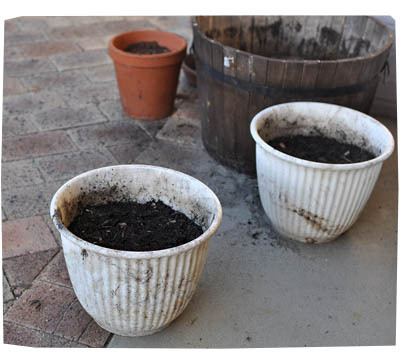 My husband taught him about soil consistency, compost, drainage, planting seeds… all that good stuff. They cleaned up a whole stack of old pots and set to work. In a world of instant gratification and success, growing flowers doesn’t rate very highly! You prep for hours. Then the act of planting seeds takes a grand total of 2 minutes. And all you have to show for it all is a bunch of dirty pots. It’s admittedly rather anti-climatic haha! 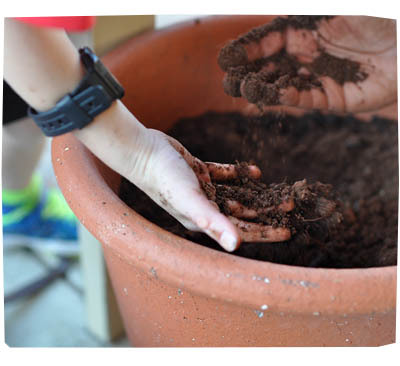 My son enjoyed the attention, he enjoyed being outside and getting his hands dirty. So I guess it was 3 hours well spent?